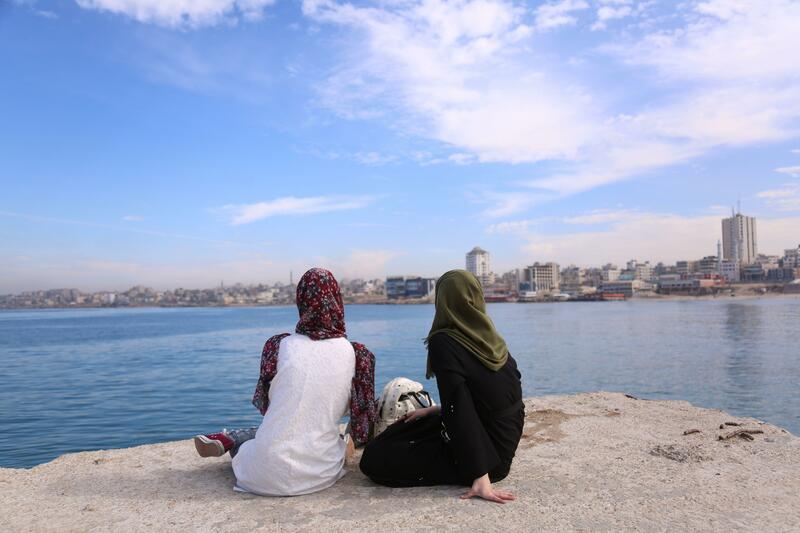 Abu Taqea said she finds a sense of solace in the Mediterranean Sea, whose waves crash along Gaza’s coast. “We are lucky to have the sea. The beach is a place for relief and for meditation, so we can forget about the wars and poverty,” Abu Taqea said.